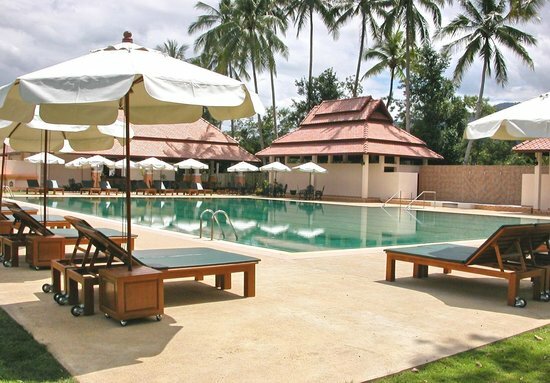 While Chiang Mai is best known for it’s majestic mountains, pine forests and rice fields, there are many scenic places to swim throughout the city. Here are some of the top places to swim and stay cool during the hot season. As always, don’t forget to first stop by Heavenly Nails for waxing to make sure you’re well prepared bikini weather in Chiang Mai. The Chiang Mai Grand Canyon is located in the Hang Dong District approximately 10km south of the city. It began as an abandoned limestone quarry where local daredevils used to jump off the steep cliffs into the bright blue water. After a few accidents and government intervention, it has transformed into a popular safe well-run water park with a lot of fun activities. Opened in 2016, the park consists of huge inflatable obstacle courses, climbing walls, rope swings and water slides. You can also paddle around in a kayak, zip line over the water, and if you’re brave, jump off a cliff (in a designated safe spot). For the adrenaline junkies, they recently added wake boarding as well. There’s also a shoot range and horse stables close by as well. After you exhaust yourself jumping and bouncing around on the inflatables, you can relax on the deck with a refreshing drink, or grab a bite to eat at the café. A large staff of lifeguards is on hand, and visitors to the park must wear lifejackets at all times, making this a great place to enjoy yourself without worrying about your safety. Open daily from 09:00 to 18:30, and the 450 Baht entrance fee lets you stay and play all day. If you’re looking for a scenic spot off the beaten path, Huay Tung Tao lake is a perfect choice. This lovely reservoir is where the locals come to escape the city and enjoy nature. Located near the Doi Suthep National Park, the lake is surrounded by lush woodlands with a 5km paved track along the shore offering a pleasant place to run and bike. Hung Tung Dtao also hosts the occasional triathlons, obstacle race and endurance runs as well. You can rent a paddle boat, do a little fishing, and relax by the water. No need to pack a lunch, as there are about 20 open-air restaurants and numerous food vendors around the lake offering a wide selection of the local cuisine. You can enjoy your meal in one of the charming bamboo huts providing shade along the water. Be aware that during the hottest part of the year, the lake may dry out. Huay Tung Dtao is fairly quiet on the weekdays but many Thai families like to come and relax here on the weekends. It’s open daily from 08:00 – 18:00 with an entrance fee of 50 Baht. The 700 Year Stadium sports complex opened in 1995 to host the Southeast Asian Games and celebrate the 700th anniversary of Chiang Mai. 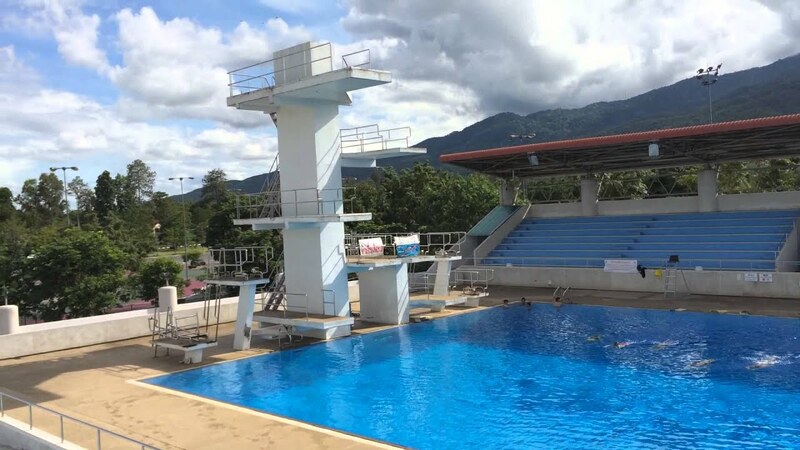 It offers an Olympic-size swimming pool, a separate diving pool, and facilities for strength training, running, tennis, badminton, tae kwon do, soccer and shooting. 25m in length, it’s a great pool to get a serious workout, but not so great for lounging. Many students come for swimming lessons in the afternoons and the lanes get busier then. It’s open daily from 8:00 to 20:30. A day pass costs 60 Baht. The center of the universe has a 25m salt-water pool and is surrounded by greenery and provides lots of sunbeds for lounging. The wheelchair accessible facility also has two separate pools for children. This peaceful and secluded pool may be the “Center of the Universe”, but it’s not located in the center of the city. You’ll have a bit of a drive to get here. Open daily from 6:30 to 19:30, with different times available for laps versus leisure swimming. This popular pool is centrally located only five minutes from the Old City, but found in the middle of a six-acre botanical garden. This beautiful and affordable swimming option boasts lounging chairs, umbrellas, and a restaurant. You and find more information here. Open daily 7:00 to 21:00, and only 150 Baht for a day pass.